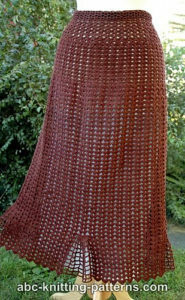 Hey, today we got some lovely Crochet Skirts Free pattern for you, these images are worth drooling and you got to make at least one of these for yourself or your daughter, sister or mother. Also, you can make these and sell them too, because you know what these are Crochet Skirts Free Pattern. We girls just love skirts since they make us feel beautiful and also confident. Easy Scalloped Skirt by Monica Welle Brown is a very elegant long skirt with a lovely scallop design. We are just falling in love with the colour. Flirty Marvel Skirt by Marie Segares is really a fun and flirty skirt. It is perfect for spring and summer season. What are you waiting for..go grab your hooks now. Flaunty Flared Skirt by Maz Kwok is a lovely skirt with a flare, we loved the blue colour because it is perfect for spring. Make this and flaunt your creative side today. Maybe, we will try this too some day. Modern Melissa Skirt by Marie Segares is another short skirt made with a lovely pink colour. It will suit each and every one of you out there, make this today. Caribbean Skirt by Erika and Monika Simmons is again a long skirt with a slight of a slit on the side. It definitely gives an elegant look giving you yet another reason to grab your hooks and yarn. Shell Summer Skirt by Elaine Phillips is again a long skirt with a lovely shell pattern, made in a beautiful colour. While it looks beautiful in this colour, you can also make it in some spring colour as per your liking. 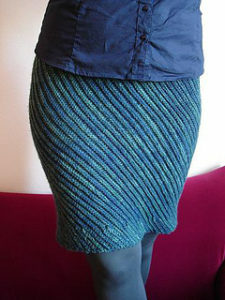 Slanted Skirt by Tanja Osswald gives a very superb slanted coloured design to the skirt. We personally loved this one a lot. You can also make it without the slant design though. Note: All the patterns and photos belong to the designers, we do not take credit for any of these.